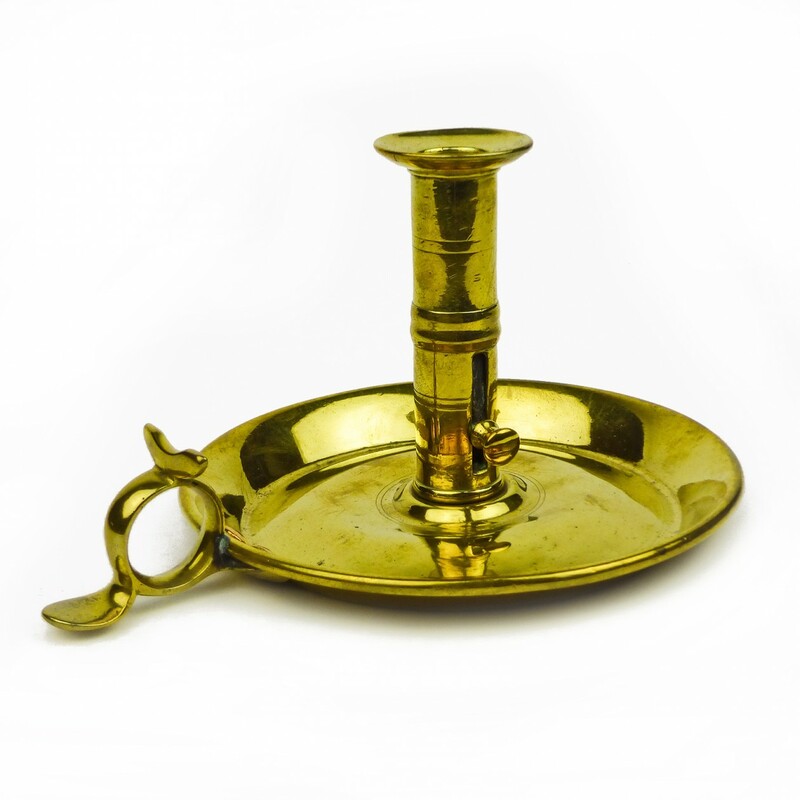 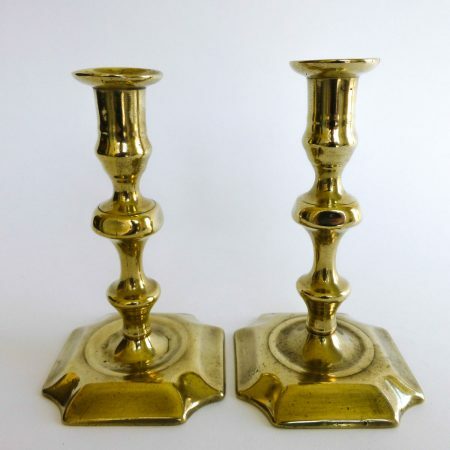 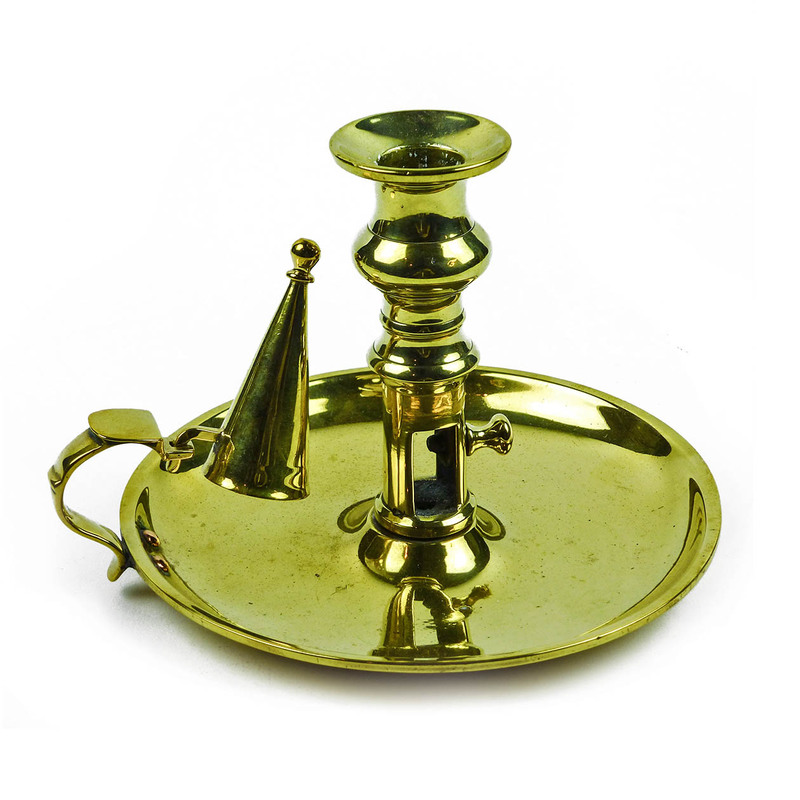 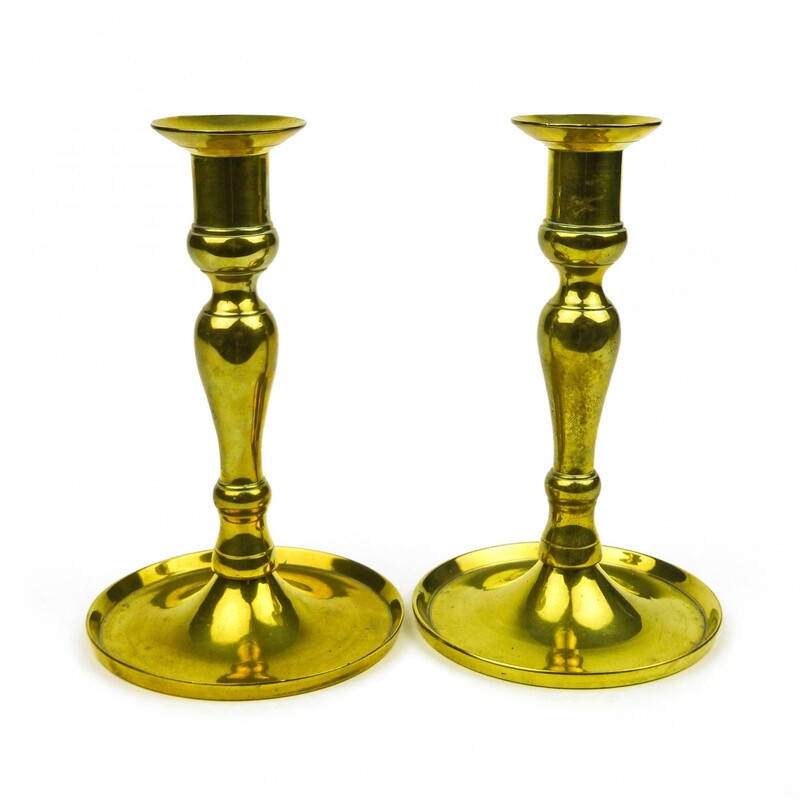 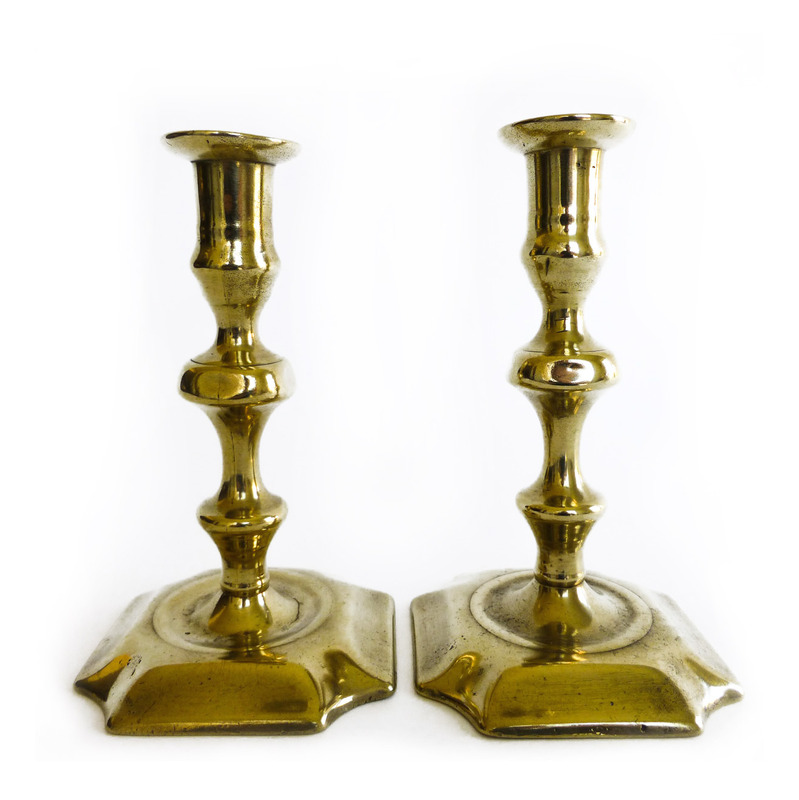 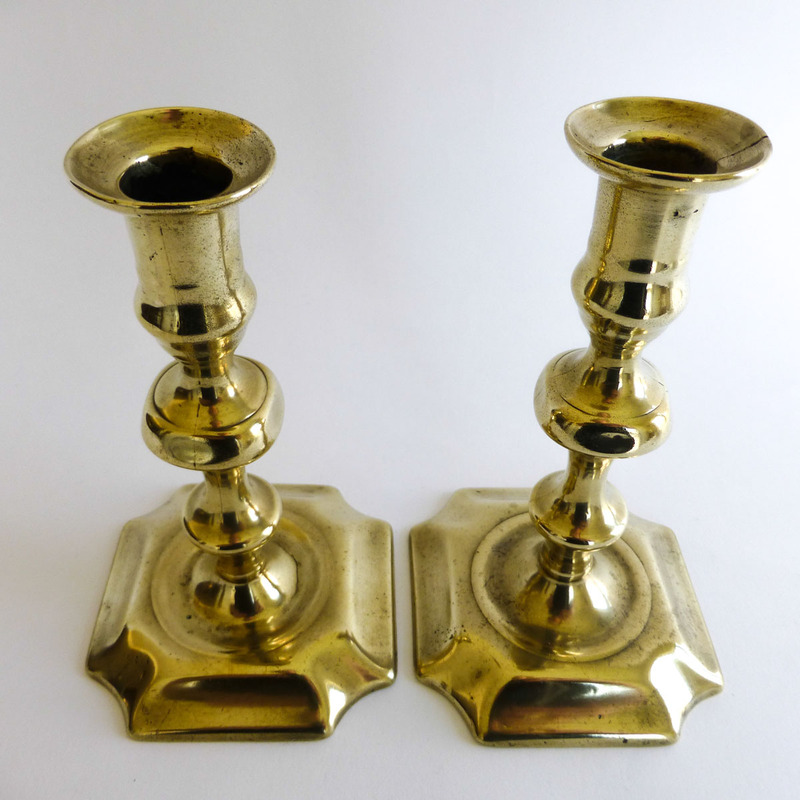 Pair of English Brass Queen Anne Candlesticks. 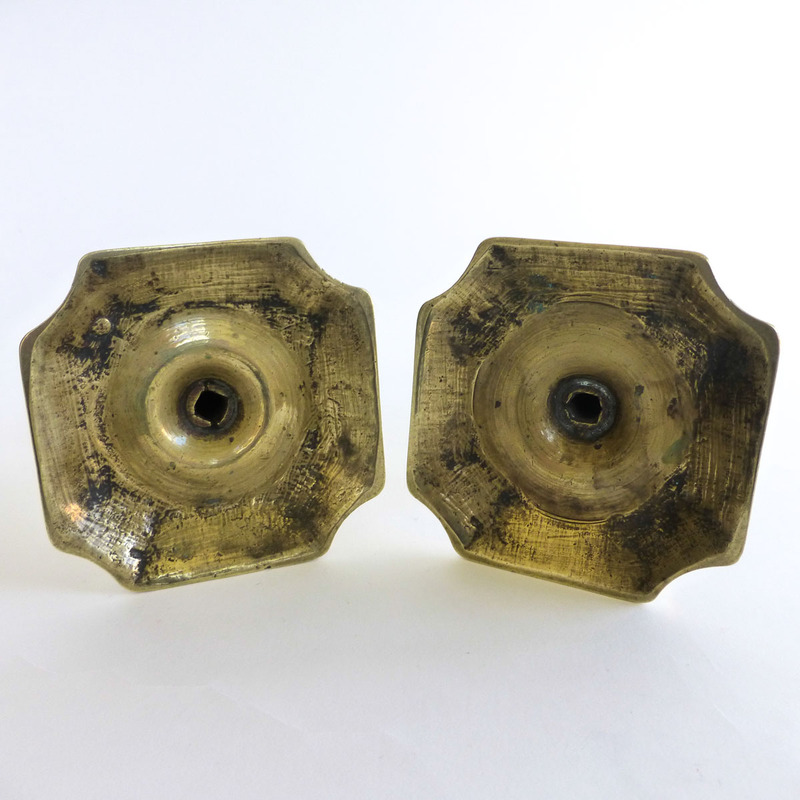 Seamed Shafts. 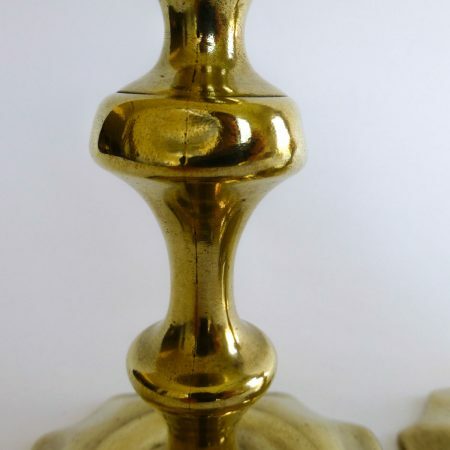 Square Base. 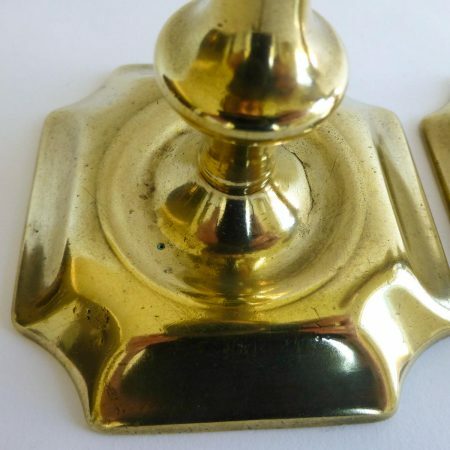 Cut Corners.